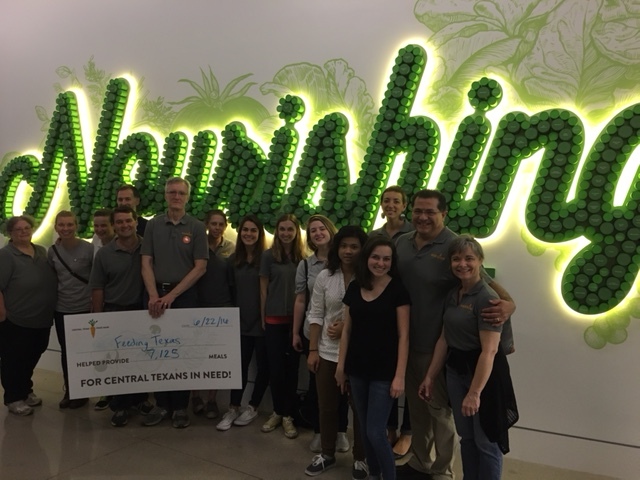 Last week, the Feeding Texas spent a day volunteering at the brand new Central Texas Food Bank in Austin. We sorted through pallets, packaged, boxed and stored recovered food items. All of our hard work helped provide 7,125 meals for hungry families here in Central Texas! 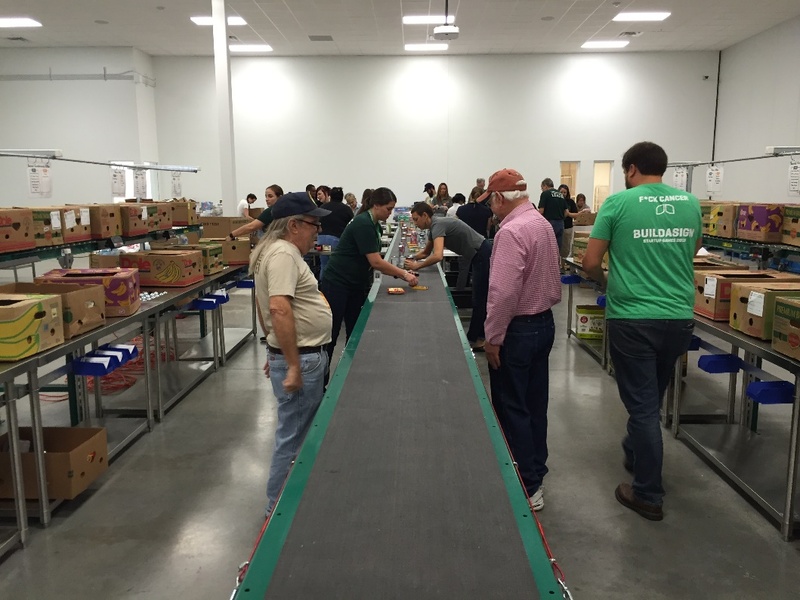 The new Central Texas Food Bank is over twice the size of their old building. The larger facility offers two and a half times the amount of dry storage capacity and seven times the amount of cold storage space. The food bank's volunteer capacity increased with the move, too. They can now accommodate up to 120 volunteers per shift between two Product Recovery sorting spaces. To see how you can help feed hungry families here in Central Texas, check out their volunteer site. The Central Texas Food Bank is one of Feeding Texas' twenty-one member food banks. We are excited to see all of the help they will be able to provide to hungry Texans with their brand new facility! You can see all of the pictures from our volunteer shift here.